Like or not, many of us live in small spaces. For some, it’s a matter of finances. For others, it’s a matter of simplicity. Whatever your reasons, the key to small-home success lies in organization. When you learn tricks for stowing your stuff on a limited space, you can feel right at home in a house of any size. An ottoman with a hollow interior is a great place to store all of the odds and ends that hang out in your living space, including throw blankets and video-gaming paraphernalia. A spot to rest your feet. A coffee table for books or board games. An extra seat when company is over. Altogether, a storage ottoman can fill at least four living-room roles. That’s a great way to make the best use of your space! Cruise veterans know that bringing an over-the-door shoe organizer along on your trip is an invaluable way to tame the clutter that can quickly overwhelm a tiny cabin. The same principle works at home. Hang pocketed shoe holders on doors throughout your house, and don’t limit their purpose only to shoes. They can also hold toiletry items, clothing accessories, stuffed animals, or winter-weather gear. For other items, you may want to turn to a system of narrow wire baskets mounted to the door. Baskets can hold gift wrapping supplies, canned goods, or DVDs. Everyone knows that cabinets are for storage, but most people just think about using the inside of that space. Maximize your storage by hanging organizing baskets on the outside of your cabinets. For example, a slim basket placed at the end of your kitchen cabinets can hold zip-top baggies and aluminum foil. In the bathroom, use this system to hold washcloths or hairbrushes. While you’re at it, consider using the previous tip about the back of doors for your cabinets, too. Small shelves mounted on the inside of cabinet doors can hold anything from spice bottles to cleaning products. Think about the closets in your home. Does the position of the doors limit how you can use your space? For example, do you resist putting a shelving unit in your living room because you’ll no longer be able to open the closet doors? Or do you avoid sticking things in the entryway closet because it’s always an ordeal to clear things out of the way so you can open the door? There’s an easy solution that gives you quick access to your closet without sacrificing any floor space: curtains. Simply take the door off of the hinges, and in its place, hang a tension rod outfitted with an attractive curtain. You’ll find it more convenient to use your closets, and the curtain will keep the contents tucked out of sight. You can use open shelving as a decorative element, positioning favorite items toward the front for display. Open shelves reduce the stuff-it-and-forget-it concept that closed cabinets encourage. Because you know that everyone will be able to see your stuff, you’ll be more likely to keep only the items you really care about. With open shelves, it’s quick and easy to grab what you need and put it away when you’re finished. In fact, you may find that you love open shelving so much in your small space that, when given the choice, you opt for it over closed cabinets! Whether behind closed doors or sitting out in the open, storage baskets will keep your gear contained. It sounds like a frugal idea to use whatever boxes and bins you can rummage up, but matching baskets are worth the investment. First of all, a set of same-size bins will all fit on your shelves in the same way. That makes it easier to line them up and keep them organized. Plus, coordinating containers look nice, which gives a room a pulled-together look. 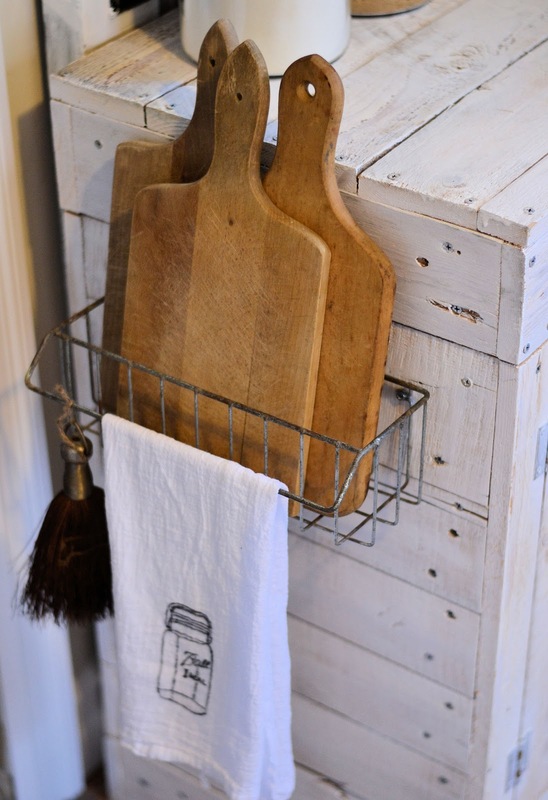 When storage space is at a premium, hooks can be your best friend. Particularly in an entryway, hooks can help keep the area neat and tidy. Hang a row of hooks under a shelf, or put the hooks up high on the wall, and set a storage bench underneath them. Hooks aren’t just for walls! Make use of your ceiling space too. From potted plants to bicycles, there are all sorts of items that you can suspend from your ceiling. Which of these organizational tips will be most helpful in your home? I’ve found that developing a well-organized storage system can help your entire house feel more spacious. Please leave your small-space storage tips below. If you found this article helpful, please share it with your friends.